is a project by Michael Steinbach, Andrea Wahl and SteffiJi. 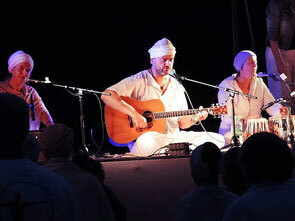 They play their versions of Kundalini Yoga mantras in the tradition of Yogi Bhajan. Their understanding of music and sound is to open up a sacred space for healing and surrendering to the higher consciousness and vibration.